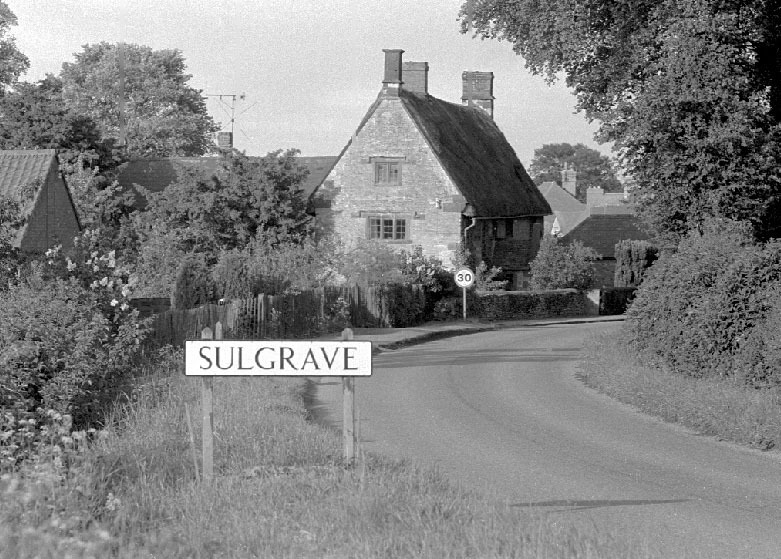 The photographs on this page are by author and photographer Chris Behan, of Little Street, Sulgrave, who has kindly offered to undertake a “roving commission” with a view to providing this website with images of the village and its residents on a regular basis. Before moving on to the photographs, please click here to enjoy Chris’ video interpretation of the changing seasons as seen across Madam’s Close towards Sulgrave Manor. View from the rear of Magpie Farm. 14th February 2019. Signs of the times – follow yonder star, it’s advent. 6th December. A bird does not change its feathers because the weather is bad – African proverb. 22nd November 2018. Click here to read the stories of the eighteen by visiting the Church page on the website and scanning down to “The Church War Memorial”. The east window ledge, Church of St James the Less, commemorating 100 years since the end of WW1. Workers always attract an audience even if it is only Ian Cherry’s Steers. Hope that’s right. Richard. Not the site of the mandatory archaeological dig, just a quick way to dig up the front garden border. The Chestnuts’s 200 year old well water pump back in action, well almost, thanks to modern technology. GIVE ME SOME TIME TO MOW THE GRASS DOWN with apologies to any sea shanty lovers. Mother Nature at its best. Soft late summer sunbeams shine through the trees at Castle Green. Sulgrave Manor view from upstairs window. 1st June 2018. May saw my first sighting of a red kite in Little Street in June it is my first sighting of a dragonfly in Little Street. 1st June 2018. George Washington from the Manor window. 1st June 2018. Astronomical winter departs hopefully only with a fine dusting of snow. 18th March 2018. March 21st 2018. The morning sun shines through the trees across a frost covered Madam’s Close. Spring has arrived. See “Aunt Sally Challenge” at the Star Inn. More on “supermoon” by Chris Behan. A row of Discovery Apple Trees near the Old Windmill. Discovery Apples are one of the earliest apples in the UK. 18th January 2018. Sulgrave Farm basking in the glow of the winter sun. 18th January 2018. The West End of Sulgrave. 18th January 2018. Distant views towards Culworth. 18th January 2018. Now guess who runs through this field every night to Helmdon Road. 10th January 2018. The Kingdom of Heaven is like a man who sowed good seed in his field. 10th January 2018. Distant views. Sulgrave peeping over winter wheat field. 10th January 2018. Manor View Cottage, now without a view. 10th January 2018. See how “Manor View” lost its view! January farming. Repair and renewal of gates. 10th January 2018. All bar none! The Star Inn. 16th November 2017. The low winter sun illuminates Church Street and Park Lane. 15th December 2017. A flag follows the wind. 8th December 2017. Click here to see names of fields in Sulgrave Parish. A Super Moon is only supposed to be seen once in a blue moon. This one is the second in thirteen months. The first frost of winter and a Sulgrave dawn. 17th November 2017. The first frost of winter as the dawn sun highlights fading autumn leaves. 17th November 2017. More foreign visitors to Sulgrave Manor – Canadian Geese on Madam’s Close. 6th May 2017. See more pictures of Canada Geese nesting in Sulgrave in May 2008. It’s a bank holiday, so it’s DIY day! 1st May 2017. Little Street view of new Little Street houses. 27th April 2017. New Little Street houses from Helmdon Road, 25th April 2017. Helmdon Road – a different view. 25th April 2017. First common blue of the summer. 5th April 2017. Until the 1960s, this was the normal approach to the Church, with the south door little used. In the 1940s and 1950s there were flower beds between the trees, each one being maintained by two children from the village school. See photograph of the bus shelter under construction in 1964. 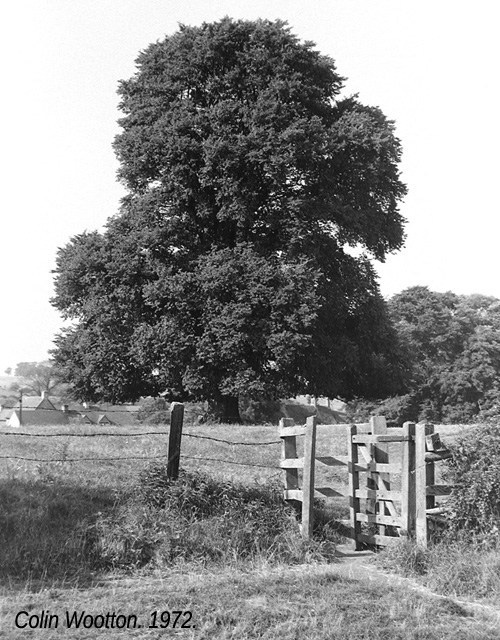 (See how the now long gone elm trees once welcomed visitors to the village. Early 1970s). See here for a 1972 picture of the entrance to Madam’s Close from Little Street, including the magnificent elm tree which stood in the centre of the close until succumbing to Dutch Elm Disease a few years later. See photograph of village bus shelter under construction in 1964. Sorry to say Chris but those heifers are steers and therefore male. Take a look at the undercarriage.